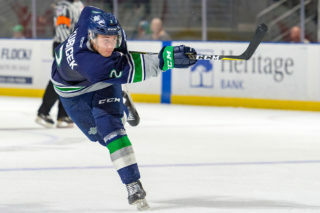 EVERETT, February 2, 2019 — The Everett Silvertips defeated the Seattle Thunderbirds 7-2 Saturday night at Angel of the Winds Arena in Everett. The T-Birds travel to Victoria for back-to-back games on Tuesday and Wednesday. Both games are at 7:05pm. 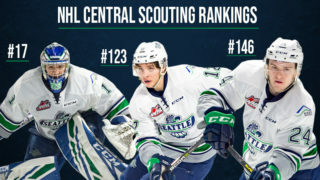 Seattle is one point behind the Kamloops Blazers for the second wild card playoff spot in the Western Conference. Everett got four goals from Connor Dewar and a goal each from Jake Christiansen, Bryce Kindopp and Wyatte Wylie. Seattle’s first goal was scored by Andrej Kukuca at 17:42 of the second period. Simon Kubicek sent the puck behind the Everett net to Kukuca. Kukuca came around the net at the left post and got the puck past the outstretched right leg of Everett goalie Dustin Wolf. Jake Lee had the second assist. Keltie Jeri-Leon tipped a slap shot from Kubicek past Wolf at 15:44 of the third period to get the T-Birds second goal. Jeri-Leon made the tip as he was being cross checked from behind. Sean Richards had the second assist on Jeri-Leon’s seventh goal of the season. Everett outshot Seattle 42-23 in the game. First period – 1, Everett, Dewar 32 (Wylie, Fairbrother), 19:30. Penalties – Bauer, Sea (hooking), 3:00. Vitelli, Evt (tripping), 13:03. Richards, Evt (hooking), 14:07. Second period – 2, Everett, Dewar 33 (Kindopp, Christiansen), 2:55 (pp). 3, Everett, Christiansen 9 (Andrusiak, Goncalves), 10:52. 4, Everett, Dewar 34 (Goncalves, Wolf), 11:45. 5, Seattle, Kukuca 14 (Kubicek, Lee), 17:42. Penalties – Bauer, Sea (roughing), 2:43. Berezowski, Evt (roughing), 6:19. Patterson, Evt (roughing), 6:33. Kukuca, Sea (roughing), 6:33. Berezowski, Evt (roughing), 7:25. Kubicek, Sea (roughing), 7:25. Third period – 6, Everett, Dewar 35 (Fairbrother, Goncalves), :28. 7, Everett, Kindopp 29 (Christiansen, Dewar), 11:07 (pp). 8, Everett, Wylie 8 (Christiansen, Dewar), 12:24 (pp). 9, Seattle, Jeri-Leon 7 (Kubicek, Richards), 15:44. Penalties – Kubicek, Sea (high sticking), :49. Khaira, Evt (major-fighting), 4:21. Carpendale, Sea (major-fighting), 4:21. Kaluski, Sea (roughing), 4:52. Lee, Sea (10-minute misconduct), 4:52. Tyszka, Sea (major-fighting), 9:33. Andrusiak, Evt (roughing), 9:33. Fairbrother, Evt (major-fighting), 9:33. Vitelli, Evt (10-minute misconduct), 9:33. McNelly, Sea (cross checking), 10:43. McNelly, Sea (holding), 16:49. Mount, Sea (unsportsmanlike conduct), 19:56. McNelly, Sea (10-minute misconduct), 19:56. Gurney, Evt (10-minute misconduct), 19:56. 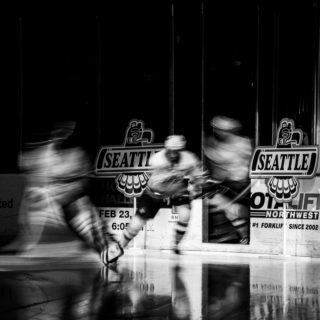 Shots on goal – Seattle 4-14-5 23, Everett 6-13-23 42. 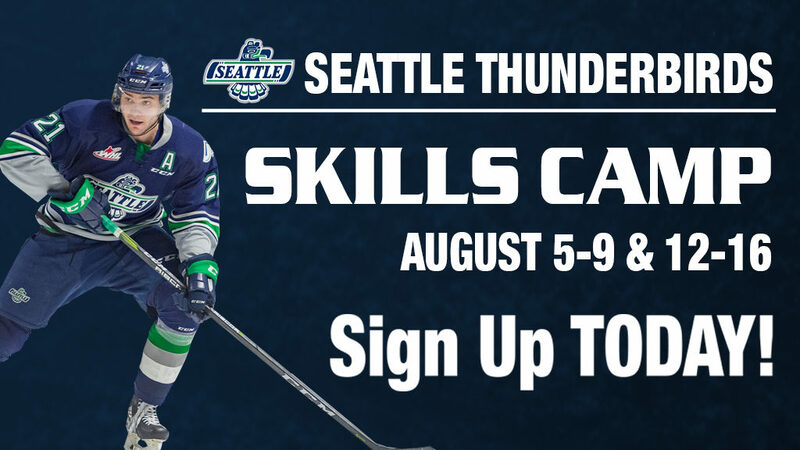 Goalies – Seattle, Schwebius 42 shots-35 saves (3-6-2-0); Everett, Wolf 23-21 (33-11-1-0). 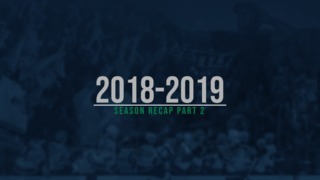 Power plays – Seattle 0-2, Everett 3-8. A – 8,317. Referees – Tyler Adair, Fraser Lawrence. Linesmen – Nick Bilko, Brett Mackey.